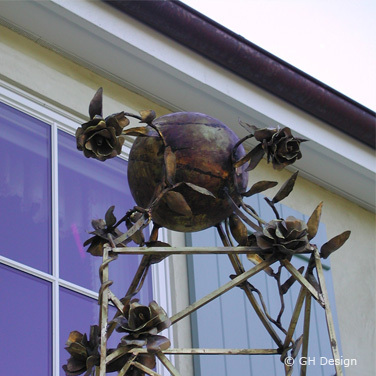 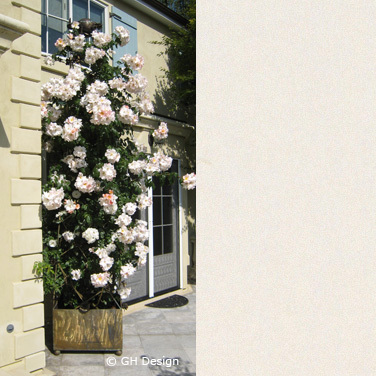 The Brass Tuteur is handmade with it's own brass planting box for use on a patio. 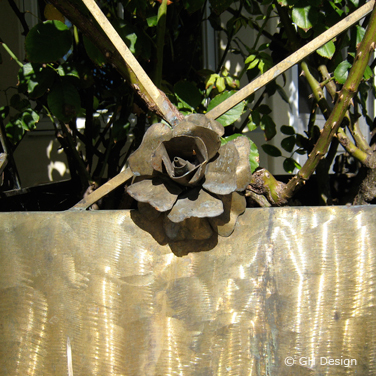 The Brass Planter can be produced in any size, with or without the planting box and in several metals. 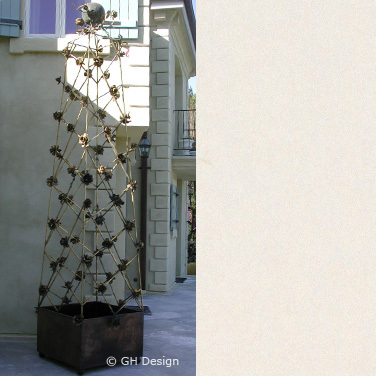 The Brass Tuteur was originally designed for a residential project in Atherton, California by G. H. Design's principal designer, Nancy Favier.